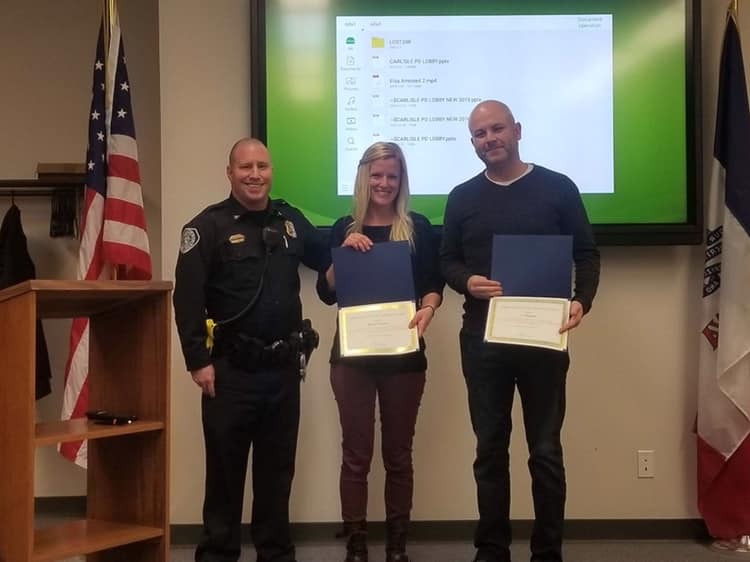 At last night’s Carlisle City Council meeting Chief Koch recognized CJ and Becky Nissen for their overwhelming support of the CPD, as well as their creativity and talents in creating our CPD Elsa video. The video was shared on both our Facebook and SRO Facebook pages and combined had over 54,000 views, over 1000 shares and over 1,000 “likes”. 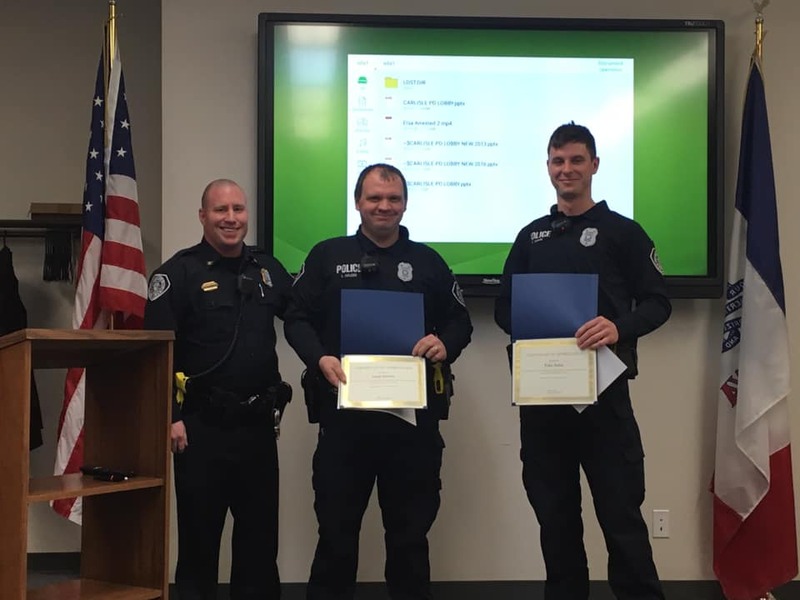 Additionally, Officer Hauser and Officer Hahn were recognized for their participation in the video and efforts in community policing. CPD is fortunate to have an entire staff that goes above and beyond their normal police duties to connect with the community.